We Talked To The Diesel Brothers! [UPDATE]: We are aware of the audio issues with the video when viewed on mobile devices and are working on a fix. In the meantime, if you can use a desktop/laptop computer or--odd as this will sound--a pair of headphones, the audio will function correctly. [UPDATE 2]: Audio problems have been resolved. Watch away! Who has two thumbs and spent a few minutes chatting with the Diesel Brothers at SEMA? 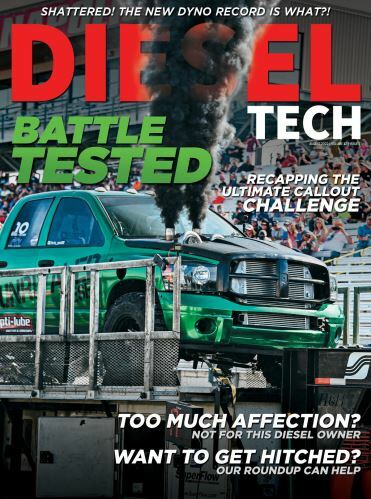 This gu...wait, there are a lot of us at Diesel Tech, how many thumbs is that? Anyway, we were lucky enough to get some time with Heavy D, Diesel Dave, and The Muscle during the show this year. If you've ever wanted to know where Heavy D's nickname comes from, or needed some beard grooming tips, then this is the video for you! Oh, and we also got a few tiny scoops about what to expect from the show this year. You know, the important stuff. Check out the video and keep following us on Facebook and Instagram for more updates from the show!